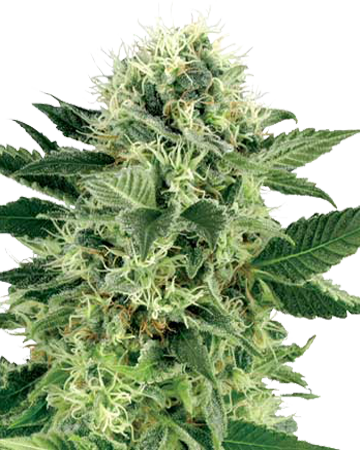 The Blueberry CBD strain is a favourite recognized for its medicinal benefits. Traditional Blueberry indica was paired with a CBD –rich strain for a strong therapeutic effect that can ease many symptoms. Widely recognized for its healing benefits, Blueberry is a favorite in the medical marijuana world. 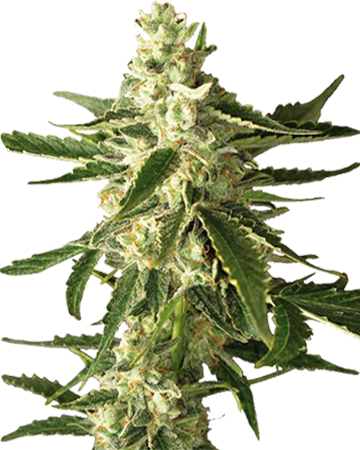 CBD Blueberry feminized cannabis seeds pair the traditional indica with a CBD–rich strain, further strengthening those therapeutic effects. 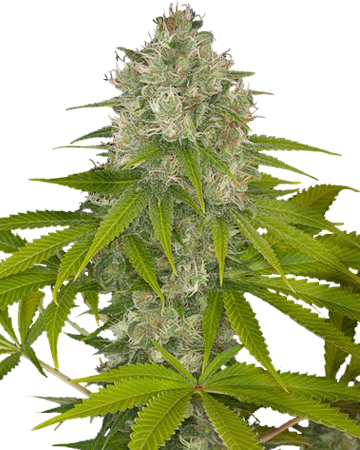 Unlike traditional Blueberry (get our auto-flowering version here), which has a moderate level of THC at 16%, CBD Blueberry brings this THC down to 7%, and matches it with 7% CBD. While this percentage is low for THC, when it comes to CBD 7% is a powerful dose. Not only does the prevalence of this cannabinoid pump up the healing benefits, both on its own and in combination with THC, it also blocks the psychoactivity of the THC, making CBD Blueberry relatively free of psychoactive effects. 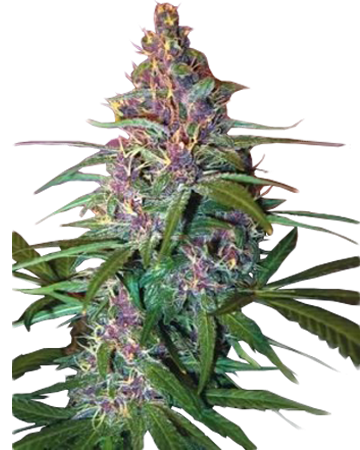 If you’re seeking a strain that is purely therapeutic, CBD Blueberry cannabis seeds are the perfect choice. 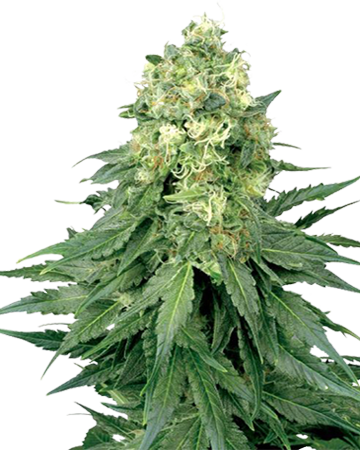 CBD Blueberry cannabis seeds develop flowers that offer the same fruity, blueberry taste and scent of their parent strain, and provide a long, relaxing high topped up with a sense of euphoria. 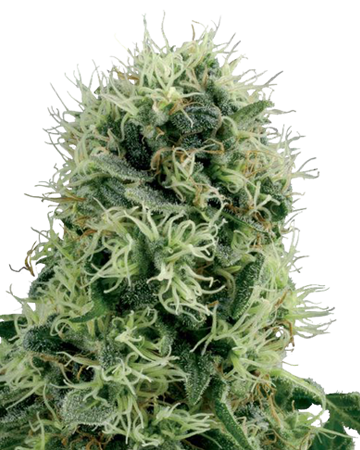 Medicinally, this strain can serve as a mood enhancer – it a good treatment for stress and depression, when used with care. 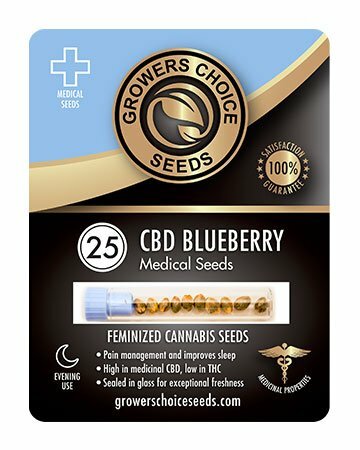 The relaxing qualities of CBD Blueberry cannabis seeds can ease chronic and recurring pain falling anywhere on the scale from mild to severe. Patients undergoing chemotherapy, or other treatments that come with lots of side effects, can find relief without the heady effect of recreational strains. The cheerful calmness that sets in shortly after consuming CBD Blueberry fades gently into sedation, which can combat insomnia and relieve any stress or anxiety preventing total relaxation. This medium-height plant is ideal for growing indoors, and can yield an impressive crop of up to 500g of flower per square meter. 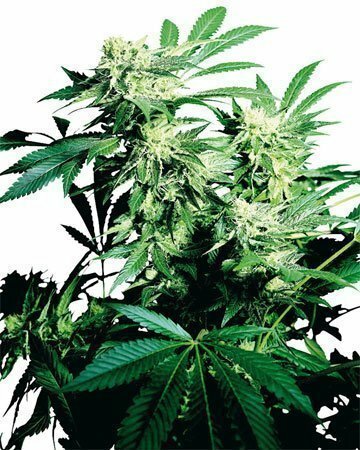 The medical buds will be ready for harvest in eight to nine weeks. Want to learn more? 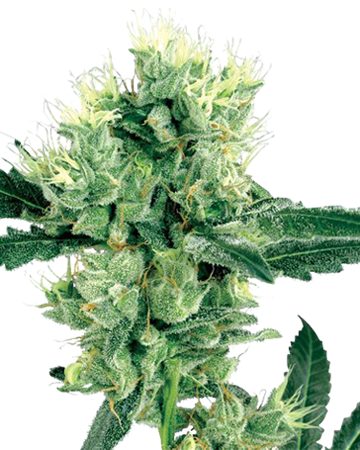 Read our CBD Blueberry Cannabis Strain article! 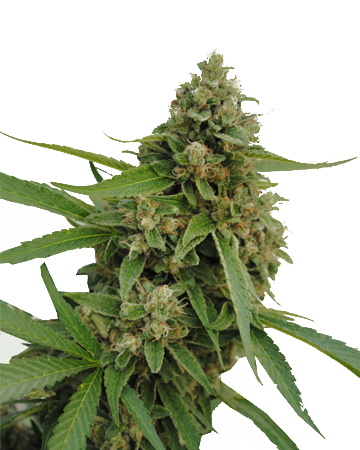 I have finally harvested two of these plants and will tell you that the results are phenomenal and the effects are exactly as described in the seed description. Well done, folks. If you haven’t ever grown with feminized cannabis seeds before, I would highly recommend you switch over. This is my first time growing blueberry, so I didn’t want to waste my money. After seeing the reviews, I decided to go with this company and had no idea what feminized seeds were. To my surprise, I got the best yield I’ve ever had from any of my plants. I followed the grow advice from the site and actually decided to grow indoors. My first time with a CBD plant and I loved it! Only germinated 3 of the 5 seeds I purchased, and they all popped! Careful with these if you are limited on space, 2 of the 3 stretched quite a bit (3rd received less light because of the 2), and got a bit of light bleaching. Smelled amazing all through it’s life, and I will definitely purchase again! I was so excited about these seeds because the picture of the plant was just so beautiful! Wow, do these seeds truly turn into something gorgeous. It did take a bit for me to get my actual seeds, because I was originally sent the wrong order. However, after reaching out to the customer service team, my proper order was promptly delivered. 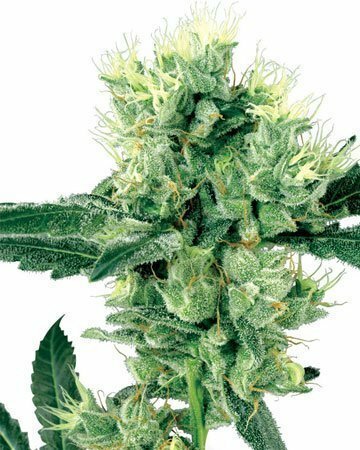 Despite the inconvenience I’ll definitely order from Growers Choice again because these seeds were just awesome—because they’re feminized cannabis seeds, they’re so easy to grow! 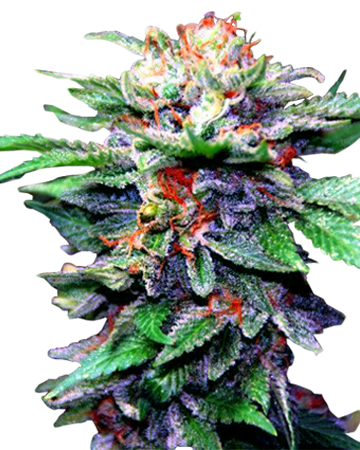 First off—wow, what a beautiful looking plant! I decided to buy these feminized cannabis seeds based off the other reviews here and I’m so happy I did. It’s really helped me with my back pain from an old injury and it’s got a great taste. Really appreciate that I can partake of this and keep a clear mind without having to worry about becoming dependent on prescription pain meds. My only issue is that it doesn’t grow great outside—I tried putting one of my seedlings outside and it didn’t grow as well as the ones I kept indoor. But a small sacrifice for such a great plant! 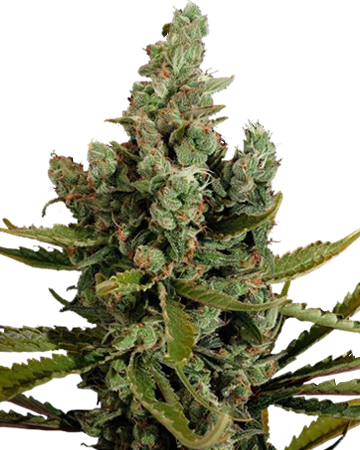 I’ve said it once and I’ll say it again, feminized cannabis seeds are the best for your buck. These grow into pretty great pot plants. You won’t have any issues growing, although I’ve only grown indoors, as long as you follow the instructions. I usually use this to manage my depression. I’ve been able to lower my dosage of SSRIs to less than half of the original dose. 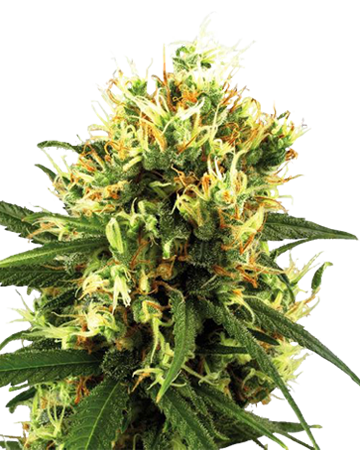 Online is really the best place to get great quality seeds. I know this company wholesales, but there’s nowhere to buy these seeds near me so online it is. Love CBD blueberry. I’ve ordered seeds a few times, and grown these ones before from this company. Always had a great result, but that probably because these are feminized cannabis seeds. I hated having to pick a male out of the lot and found I’d be wasting half my plants from other companies. I used to grow outdoors, but recently moved and switched to indoors. The outcome is still 100%. Buying online is also great, because I know these seeds are from the same company every time and always fresh. CBD Blueberry is a good strain, but I was expecting something a little bit stronger. Not to get high, because that didn’t happen, but it also didn’t do anything for my anxiety. Really pretty to grow, though. A bit of a strong smell, almost got in trouble from my neighbors haha but I was able to pass it off. 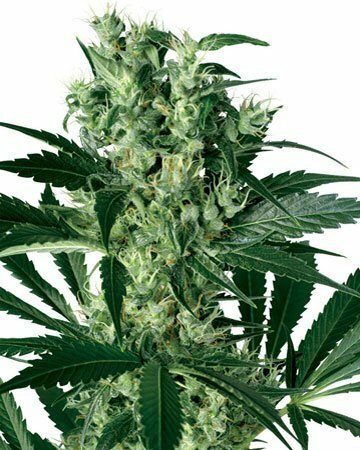 I think I just need something that has more CBD, and I hope you guys bring in some more options because I think your other strains are good and the shipping and prices are reasonable so I’d like to keep ordering my cannabis seeds online from here. This stuff is perfect for me because I didn’t want something too high in thc. 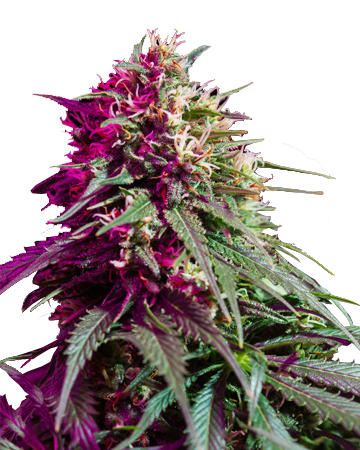 A friend suggested buying feminized cannabis seeds, so that’s how I found this company. My delivery came extremely fast, and 4 out of 5 of my seeds germinated as expected. I really love how everything is pretty much laid out for you on the site too. You really can’t go wrong. We got our seeds about a month ago. Germination took about 5-6 days. We have them under the grow lights and they are looking very healthy. We are first time growers (we are senior citizens LOL!) We have been researching for months on how to grow our own. So excited to get these seeds! My husband suffers from restless leg syndrome so bad. In a few months after harvest, I will come back and give another review on how it works. Thanks. I’ve never grown before, but I needed something for my migraines. The fact that these are feminized cannabis seeds just makes it even better. i ordered to Canada and have my license to grow, so it was probably the best decision I’ve made. I followed all the advice given to germinate and had no issues. 3 out of 3 plants sprouted and have been growing beautifully. New to Cbd this strain has made me some what of a fan, I felt like a trillion Bitcoins. All my seeds germinated quickly and ended up giving me beautiful buds! Suffer from chronic back pain and this strain was great for helping ease that pain. Loving the high CBD strains because I felt like I could still go about my day normally, just more relaxed and pain free. Was able to go to work and not feel any anxiety about anything, so I really recommend this for people who want a really solid medicinal option. What a pretty plant! Not just aesthetically pleasing, but awesome at managing pain. Thanks to the high levels of CBD and lower THC, I had no feelings of paranoia. Just a totally relaxing experience. Customer service recommended this one, and I’m so glad they did! These seeds germinated very quickly. I really enjoy this strain as it helps my hip pain, but doesn’t cloud my mind to where I can’t get other stuff done. They’re really pretty plants and gave me a high yield. I would recommend this to any medicinal patient looking for pain relief with low anxiety-inducing effects. I planted these ones as soon as I got my package in the mail. 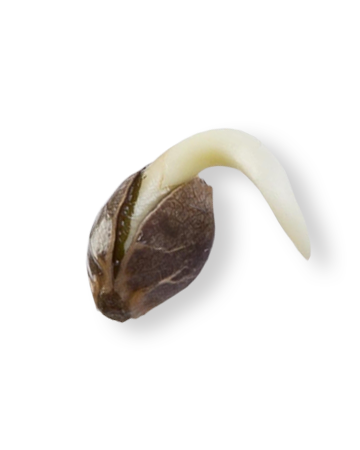 They germinated really quickly – actually, 4 of them did but I’m still giving 5 stars cause I know that’s unavoidable, but as soon as that happened I talked to the sales person and they’re sending me a new seed – I just had to pay shipping. The other four are looking good in their vegetative period right now – so pretty! Can’t wait to test this strain out. Was recommended to try this strain by the customer service rep a while back. Plants grew to flowering no problems and I must say she did a great job! This is perfect for my chronic knee pain and helps me relax at night without pain. Very high quality medicine. Growing this outdoors in soil. Pleased to report I got 4 out of 5 plants to sprout, currently about 3 inches high. Seeds are def. top-shelf genetics. Got this in mind for my pops who suffers from arthritis as this strain has an excellent reputation for pain relief and relaxation. Love my CBD Blueberry. This strain worked great for my pain management. 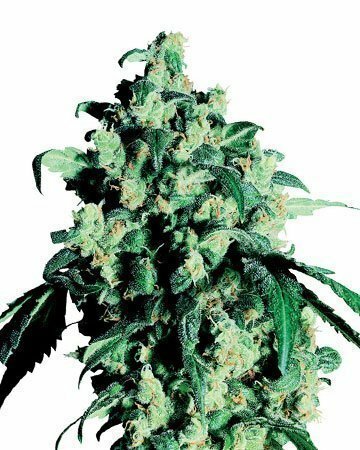 It was very easy to grow and yielded high quality buds. Definitely buying more. I am so excited to try these seeds! My order arrived in the mail about a week ago, and I tried germinating two of these seeds (and two from the other strain I ordered) right away. Just last night, I planted my little sprouts in the dirt and now I’m anxiously awaiting the seedling. Will review again once they’ve grown but so far super happy – quick delivery, easy instructions, cute little sprouts…can’t wait! Not usually into high cbd strains cuz I like the mind effects of marijuana, but this strain worked pretty good on my sore back. Needed a bit more attention when I growing it, and I almost had a deficiency problem (cuz of the soil, I think) but I fixed it and the plant grew fine. It’s a really cool colour when it grows, not that that means anything but it brightened up the room a bit.